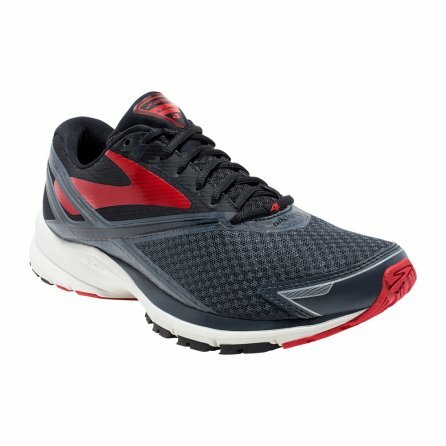 Whether you're just starting to log serious miles or just like your running shoes with minimal distractions, the Brooks Launch 4 Running Shoe is designed to give you exactly what you need and nothing you don't. It still features Brooks' exceptional BioMoGo DNA technology, which pairs a non-Newtonian polymer that manages to support as well as it cushions, with an ultralight midsole that gives you plenty of impact absorption in every step. The built in Segmented Crash Pad is designed to help you transition more effortlessly from heel to toe, and the reinforced Midfoot Transition Zone gives you the support you need at the most difficult part of your stride. Very comfortable, well worth the money. I use them for work and need stability for all day wear. They are perfect...my feet feel good at the end of the day.